Today’s workforce is more global, mobile, and social than ever before. This presents unique challenges to training professionals, most notably: how do we best support these learners? The key first step to enabling today’s learners involves re-evaluating, and consequently better awareness of, modern learning culture. While technology certainly impacts the modern classroom and its associated culture, it is not the only defining factor. As trainers, we must address manager support, job-relevancy, and proven design concepts, in addition to new technologies and methodologies. Understanding and managing all of these components can feel overwhelming. We’ve created and assembled an integrated collection of complimentary resources to help you better understand modern learning culture. At the core of this compilation is a strong belief in tried-and-true learning and design principles, such as adult learning theory, and a belief in leveraging appropriate tools in authentic learning environments. Created by Jennifer Hofmann and her team at InSync Training, these resources combine the wisdom of an industry leader with cutting-edge insight into today’s learning environments. An in-depth BYTE session recording: The Modern Learning Culture - What Makes it Tick? An eye-catching infographic: What is Driving the Modern Learning Culture? 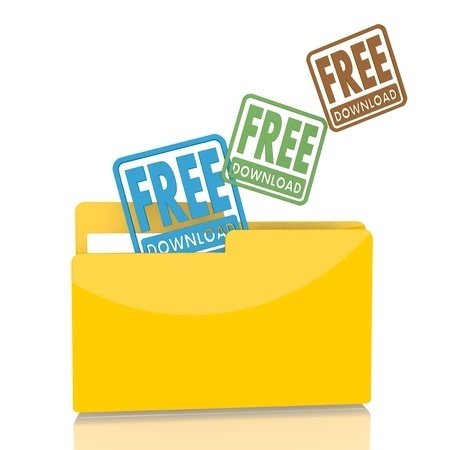 These tools are designed to be used together in the following order: first, read the brief blog post to become acquainted with cultural intelligence. Next, watch the recording for Jennifer Hofmann’s September 16th BYTE session, The Modern Learning Culture – What Makes It Tick? Thirdly, download our whitepaper 101 Ways to Motivate the Online Learner. Finally, download and save our newest infographic, What Is Driving the Modern Learning Culture? Become acquainted with learning culture as it relates to training professionals. Better understand the drivers behind modern learning culture. Be able to encourage online and blended program participant success. Have a visual reminder of Jennifer Hofmann's ten ways to evolve learning culture in a way that supports today's workforce. Review the blog, BYTE session recording, whitepaper, and infographic in the order outlined above. 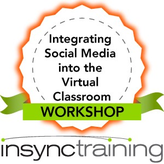 Join Jennifer Hofmann, President of InSync Training for her next complimentary BYTE session, 5 Steps to Making Your Virtual Classroom Mobile and Social. Click on the title to register or click here. 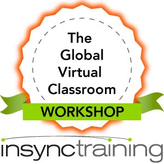 For hands-on training, check out our relevant programs: The Global Virtual Classroom Workshop and Integrating Social Media into the Virtual Classroom Workshop. Just click on the titles or the icons below to see detailed class descriptions.